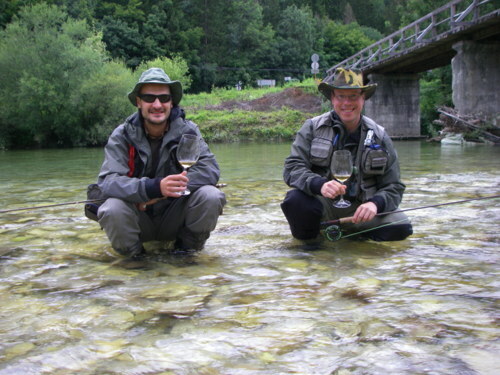 The water level was extremely high for fly-fishing, but despite all the fishes managed that we had a really great day. Most of the day I used dry-flies tied with CDC. Until midday the sky was clear, but soon after it become cloudy and started to rain. It rained untill the night, but didn´t influenced the fish activity. It also become very cold so it was like in spring.